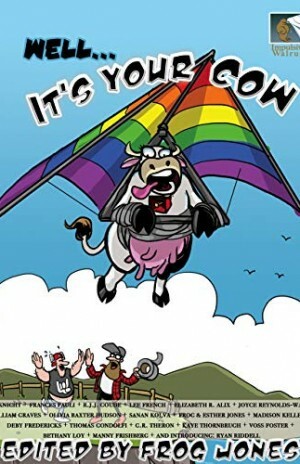 “Well… It’s Your Cow” anthology isn’t published by TANSTAAFL Press but rather Impulsive Walrus Books. However our premier author, Thomas Gondolfi, had a piece accepted and published within it. When Thomas Gondolfi heard about the anthology concept (all stories have to start with the line “Well… It’s your cow”) by Impulsive Walrus Press, his quirky sense of humor forced him to write a story for it. His cyberpunk story of a coup against the crown prince was accepted along with great work of other authors! The “Well… It’s Your Cow” anthology by Impulsive Walrus Books is now available for preorders on amazon.com (click on the title for direct link). Go and get your copy today… again you can find it at https://www.amazon.com/dp/B07J4S3VTV.